Orthognathic Surgery: What Is It? What’s It For? Orthognathic surgery is a procedure that improves the way your jaw functions. The surgery may be necessary when jaw alignment affects facial appearance, the ability to eat and speak, or for improving severe under- or overbites. Keep reading to learn more about orthognathic surgery to prepare for your upcoming oral surgery in Houston. When everything is right with the way your upper and lower jaws fit together, your top and bottom teeth appear to line up as they should, with little space in between. But when something’s off with the alignment of your jaws, you may experience esthetic imperfections and inefficient chewing as a result. 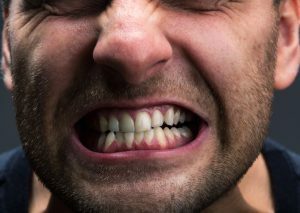 Most patients suffering from problematic TMJ (temporomandibular joint) often have moderate to severe discomfort as well. Severe overbite, when the top teeth reach far over the bottom teeth. Significant enough to affect appearance. Treatment for problematic jaws with orthognathic surgery is usually initiated by an orthodontist preceding orthodontic treatment. Improving the alignment of your upper and lower jaw requires the expertise of a number of different areas of dentistry, and your orthodontist, general dentist, and oral surgeon will all play important roles. Orthognathic surgery takes a significant amount of research, planning, and preparation for successful completion and effective outcomes. During the initial stage, your oral surgeon will compile information regarding your unique bite — including how it fits together, where it should fall, and how it can best be improved — over a period of one to three months. Consulting with your orthodontist, your oral surgeon will decide whether or not repositioning of the teeth is necessary for improving the jaw alignment. If it is, six to 18 months of orthodontic treatment will be required before your operation can be completed. Once all preoperative steps have been taken, your jaws are ready for orthognathic surgery. First, we’ll make models of your jaw and perform a sort of “mock surgery” to make sure our treatment plan is effective. If the models fit together well with our planned treatment, we’ll proceed on your jaws. Orthognathic surgery is performed under general anesthesia. Keep the following in mind for a speedy recovery following orthognathic surgery. Do you have questions regarding your upcoming oral surgery? If so, please contact the oral surgeons Houston trusts, Dr. Weil and Dr. Koo. Orthognathic surgery is performed frequently at Piney Point Oral and Maxillofacial Surgery — for the relief from jaw pain so many people need. by: Dr. Steve Koo at June 14, 2016 . Comments Off on Orthognathic Surgery: What Is It? What’s It For?